The mission of the Carolinas branch of the Royal Scottish Country Dance Society is to both promote the pursuit of Scottish Country Dancing and to provide an umbrella organization for its continuation in both North & South Carolina. The headquarters of the Royal Scottish Country Dance Society (RSCDS) is located in Edinburgh, Scotland where it was founded in 1923 by Dr. Jean Milligan with the object of documenting and preserving the customs, traditions and, particularly, the details and history of the dances. 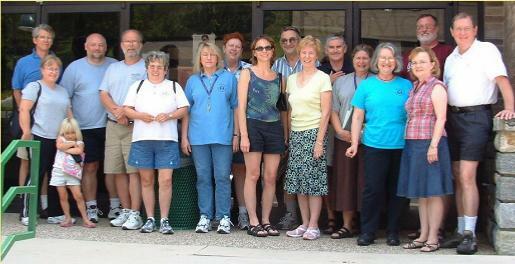 Worldwide, RSCDS has about 460 branches and affiliated groups with nearly 18,000 members and numerous social groups.